Term time only, excluding reading weeks. 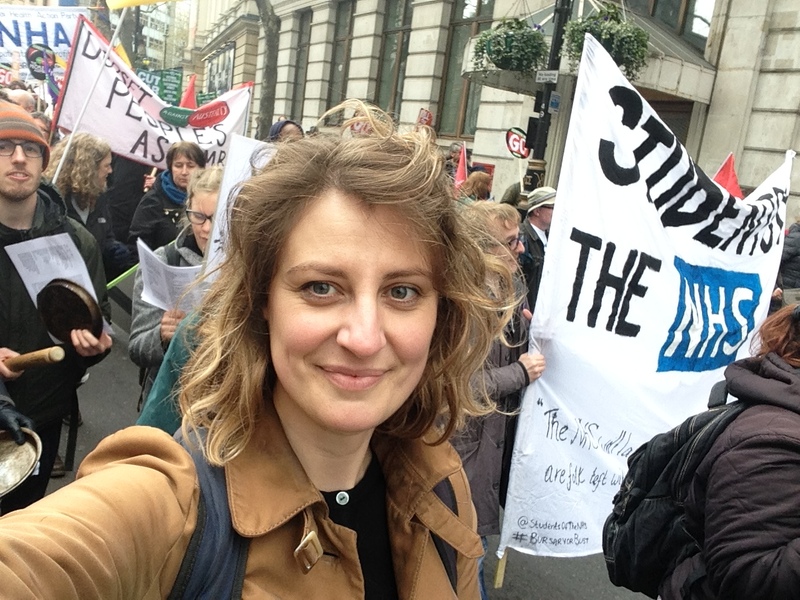 Laura Schwartz completed her Phd at the University of East London and was a postdoctoral research fellow at the University of Oxford before coming to Warwick where she is Associate Professor of Modern British History. Her main research interests are labour history and the history of feminism in Britain. Laura Schwartz welcomes applications from prospective postgraduate students working on nineteenth/twentieth-century feminism and/ or labour movements, or on the history of gender and class more generally. Laura is a founding member of the History of Feminism Network and convener of the Feminist History Group at Warwick. HI291 - "Britain in the 20th Century", second-year option module. 'Enchanted Modernity, Anglicanism and the Occult in Early Twentieth Century Oxford: Annie Moberly, Eleanor Jourdain and Their "Adventure"', Cultural and Social History 14:3 (2017), 301-319. 'A Job Like Any Other? Feminist Responses and Challenges to Domestic Worker Organising in Edwardian Britain', Special Issue 'Historicising Domestic Labour: Resistance and Organising', Eileen Boris and Premilla Nadasen (eds. ), International Labour and Working Class History 88 (Fall 2015), 30-48. '"What We Feel is Needed is a Union for Domestics Such as the Miners Have":The Domestic Workers' Union of Great Britain and Ireland 1908-1914', Twentieth-Century British History 25:2 (2014), 173-192. 'Rediscovering the Workplace', History Workshop Journal 74 (Autumn 2012), 270-277. ‘Women, Religion and Agency in Modern British History’, Women’s History Review 21:2 (2012), 317-323. 'Cuts are a Feminist Issue' (co-authored with the Feminist Fightback Collective), Soundings 49 (Winter 2011). ‘Feminist Thinking on Education in Victorian England’, Oxford Review of Education 37:5 (2011), 669-682. ‘Rethinking the History of Feminism’ (co-authored with the History of Feminism Collective), Special Issue of Women: A Cultural Review 21:3 (2010), 266-278. ‘The Bible and the Cause: Freethinking Feminists vs. Christianity, England 1870-1900’, Women: A Cultural Review 21:3 (2010), 266-278.